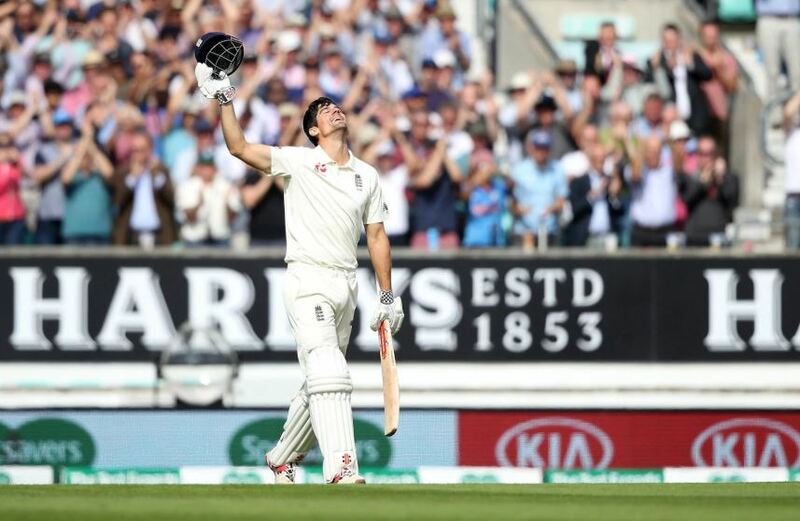 Former English opener Alastair Cook has announced his retirement from the longest format of the game and now he had made sure that he pulls the curtains after becoming the most successful left-hand batsman in the history of Test cricket. He has surpassed the tall of Kumar Sangakkara, who scored 12,400 runs, during his final innings. Cook, already England’s all-time leading run-getter, crossed the statistical milestone when he moved to 76 on day four of the fifth Test against India at Kia Oval. Sri Lankan great Sangakkara, who retired in 2015, scored his 12,400 runs in 134 Tests at an average of 57.40 with 38 centuries. He has also scored a century in his last innings and has now become the fifth Test batsman to scored a century in his first and last Tests. He has amassed 7 centuries against India, which is most by an Englishman after Kevin Pietersen (6). With the above milestone, the southpaw has progressed to fifth in the overall Test run-getters list behind Sachin Tendulkar, Ricky Ponting, Jacques Kallis, and Rahul Dravid. This is his 161st Test match. In 2006, at the age of 21, he made a century on debut against India in Nagpur. He announced last week that the Kia Oval Test would be his last. Another similarity between his first and last Test is that in both the games he scored a half-century in first innings and a century in the second and on both the occasions he did it against India. He is currently playing at 103* and after surpassing the 100-run mark he received a never-ending applause from the Oval crowd. Eng vs Ind: Test Series To Take Place In Iceland?